At Upper Canada Consultants we are constantly trying to ensure we have the best team of skilled people available: including planners, engineers, designers, draftsman and construction administrators. With our diverse team, we bring together a range of professional expertise complementing municipal infrastructure and private land development projects. Our core capabilities focus on design, problem solving and community planning and servicing. While we have a list of specific opportunities at any given time, we would love to hear from you if you feel you have skills that would complement our team! In the role of CADD Technician, you will be expected to carry out the duties and responsibilities involving quantity takes offs, CADD drafting, and various additional tasks as assigned. This position is located within our St. Catharines office. Reporting to the Engineering Manager in a fast-paced, deadline-driven engineering firm, the ideal candidate will be a dedicated individual who is well-organized, personable and is able to communicate effectively both orally and written. Preparation of land development, site plans, servicing drawings, plan and profile drawings under the direction of senior staff. Duplicating and binding to prepare drawings packages for submission. Compensation commensurate with past experience and level of knowledge. Working understanding and experience with AutoCAD Civil3D and associated software. Experience with Civil/Municipal Engineering or Land Development is an asset. Access to own vehicle and a Class ‘G’ Drivers Licence. Excellent communications skills, able to work in a client-oriented dynamic environment. Professional attitude and proficient computer skills. Willingness to learn to adapt to changes and ability to multi-task. This is a full time position, starting immediately. Email subject must reference the job position. Thank you for your interest; however, only candidates selected for further consideration will be contacted. No Phone Calls. 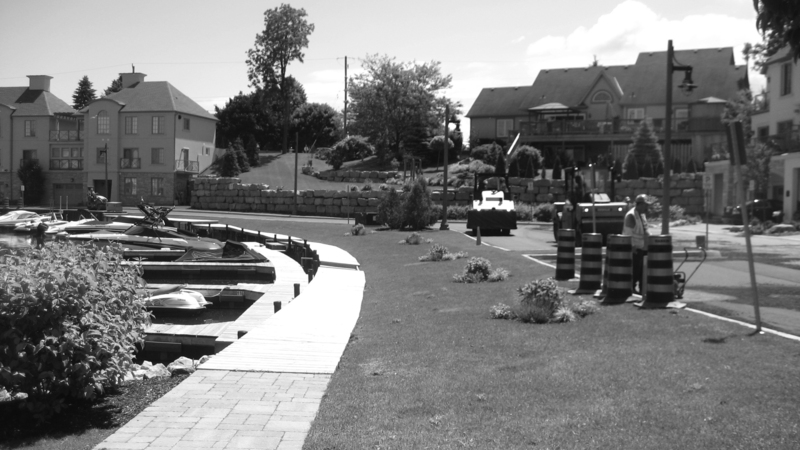 Upper Canada Consultants is a mid-sized civil/municipal engineering and urban planning company based in St. Catharines, specializing in both municipal infrastructure projects and private sector developments. We are experiencing significant growth and are looking for multiple candidates to join our firm. As a successful Junior Stormwater Management Engineer you will work cooperatively as part of a team to successfully develop and implement stormwater management solutions. Both software modelling experience and practical design and field experience is beneficial. Upper Canada Consultants offers a generous benefit package with compensation commensurate with the candidates experience level. Reporting to the Engineering Manager, the ideal candidate will be a self-motivated individual who is well organized, has strong time management skills, and is able to communicate effectively both orally and written. Assist in pre-engineering site design, and design of storm and sanitary sewers, stormwater management facilities and watermains. A meticulous attention to detail will allow you to produce detailed and technically accurate stormwater management computation models for both small and large sites using a variety of engineering techniques. The successful candidate will have a proficiency in drafting skills using AutoCAD Civil 3D to allow them to produce stormwater management figures for inclusion in reports. Excellent report writing skills will allow them to clearly and efficiently present the design concept to regulatory agencies. Must have a relevant engineering degree from an accredited Canadian University and be either registered or eligible to be registered as a Professional Engineer (P.Eng.). Access to your own vehicle and a Class ‘G’ Drivers Licence. Experience with reading Municipal/Development related Engineering Drawings. Excellent communications skills, be able to work in a fast paced dynamic environment. Ability to work on multiple projects and prioritize efforts to meet deadlines. Comfortable with Microsoft Excel including VBA and macros. Flexible attitude and ability to deal well with changes and ability to multi-task. Emails must reference the job position in the title. Thank you for your interest; however, only candidates selected for an interview will be contacted. No Phone Calls Please.